The art of taking tea seems to have been lost but not on me! Nothing is more relaxing than a good book and a cup of tea especially poured from a pretty spout....these are some of my favorites. 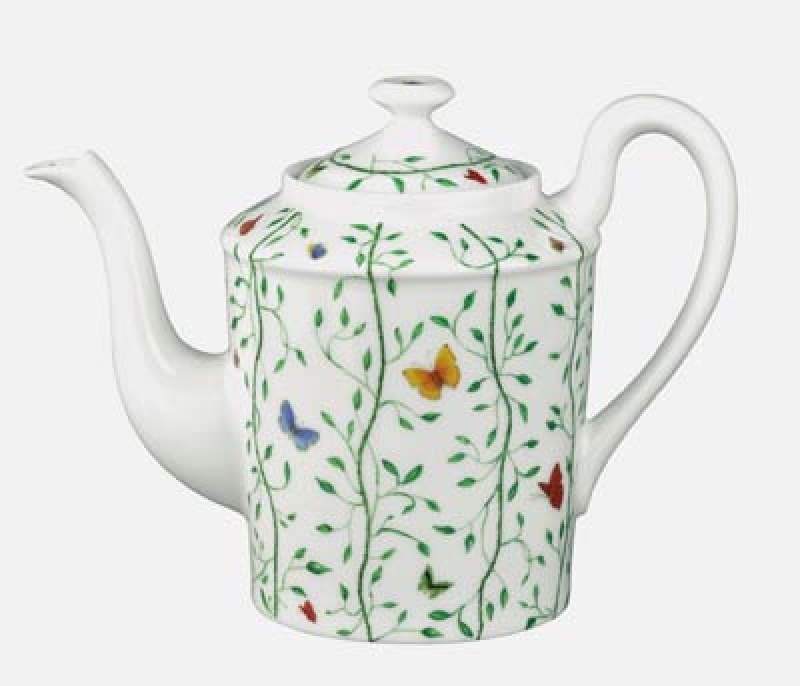 I just ordered this sweet "Bee" tea service from Towle Silversmiths- so perfect to take into my studio. I love this pot because it holds six cups, perfect for a ladies lunch or small meeting. My favorite store for fine china is Michael C. Fina and if you have the chance, stop by the shop in New York City at 545 Fifth Avenue, at 45th Street. The staff is very personable and are experts on their merchandise. This is the place to register for weddings and baby showers.